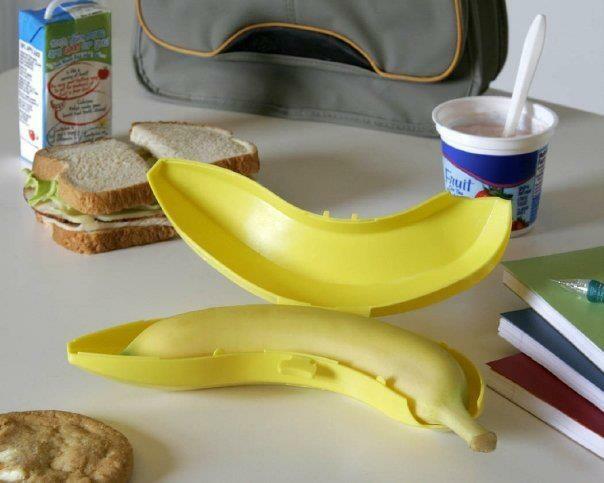 Posted on Dec 12, 2012 by Appleton Downtown Inc.
Banana Savers are back in stock at Just Act Natural. This quirky little gift is oh so practical, though. Made in the USA out of BPA-free plastic, the Banana Saver's purpose is to protect your yummy fruit from getting squished in your backpack, purse or lunch pack. At only $5.50, it's a must for any banana lover!